Here’s a pic of Milli. 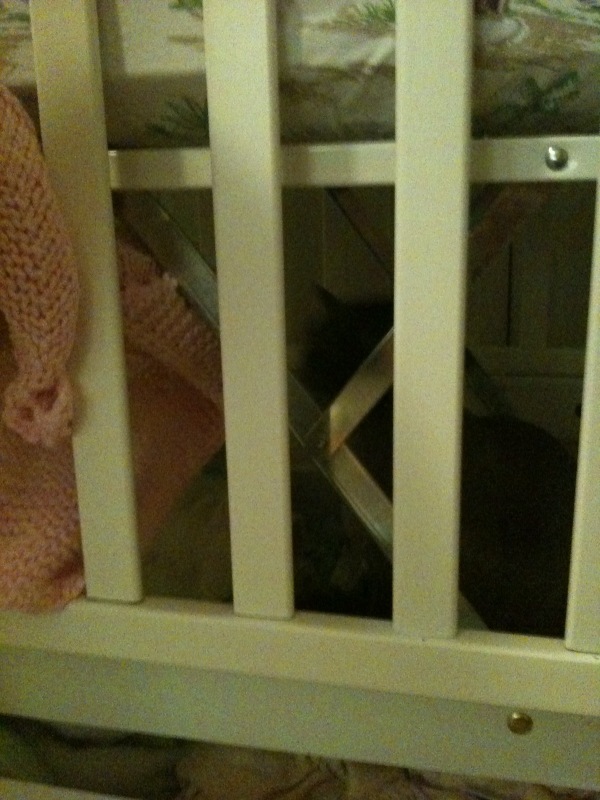 I don’t know how she got under/in the bottom of the crib or how she’ll get out. Ona’s trying to help with a blanket.